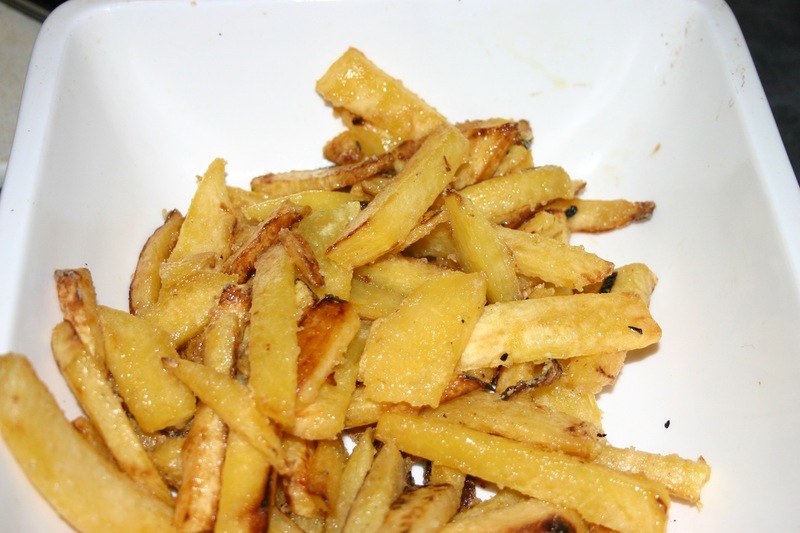 These fries are a nice change from conventional french fries. The rutabaga has a subtle sweetness that when combined with salt bursts with flavor. The recipe will work well with any fries, though. 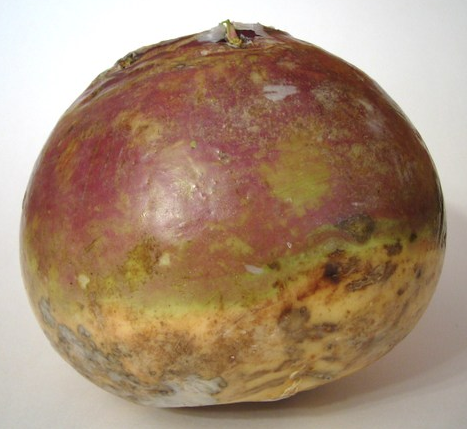 Rutabaga is a root vegetable available at most produce stores. Lightly steam the rutabaga strips in a pot by bringing 1 cup water to a a boil. Add the rutabaga and let it simmer for 3-5 minutes (until you can pierce it with a fork but before it is soft enough to break). Heat the oil in a non-stick pan over medium-high heat for at least a minute. Add the fries and fry them for 8-10 minutes, stirring frequently. Slowly add the cornstarch while stirring and let it fry another minute. Is there a way you could bake them in the oven with olive oil in the oven instead of frying? Thanks for this!